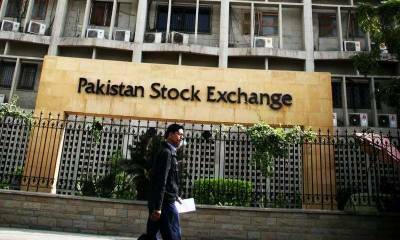 Karachi (Staff Report): The Pakistan Stock Exchange (PSX) ended the week with bullish trend as the benchmark KSE-100 index gained 615 points to close at 42,524 points. The commercial banking sector dominated trading by a margin with 44.6m shares traded in the day. Volumes remained higher as 261 million shares worth Rs 9.5 billion changed hands. Of the 377 traded scrips, 270 advanced, 85 declined and 22 remained unchanged.